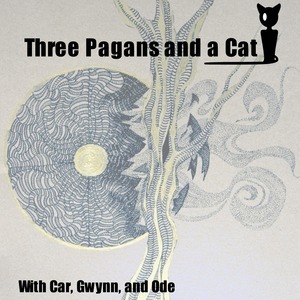 So, in the latest special CONVOCATION 2018 EPISODE of 3 Pagans and a Cat, I spoke with Car and Ode about some of what I learned in the class about creating poppets which featured an activity creating an Uncle Monday poppet for home protection. Turns out that while I had the general gist of the story I didn't have it quite right. Therefore, I wanted to rectify that error by creating this blog post. According to this post, Uncle Monday was an African medicine man who was captured and brought to the Southern USA as a slave. He escaped to the Spanish held Florida swamps where he lived among the Seminole's, Maroon's (Africans who had escaped from slavery in the Americas and mixed with the indigenous peoples of the Americas, and formed independent settlements) and the people who became known as the Black Seminoles (black Indians associated with the Seminole people). The Seminoles hold the alligator as sacred and Uncle Monday brought his beliefs and alligator magick with him. According to legend, during a Seminole ceremony where he called forth hundreds of alligators from the swamp, Uncle Monday transformed himself into a huge, powerful alligator and led the animals back into the water. He is said to still live in those waters and come out to cast spells for good or ill depending on the situation. In the class I attended, the teacher talked of Uncle Monday's heroism and that if called up through a blessed poppet made in his likeness then he will protect your home as the embodiment of the ancient alligator spirit. Also, the instructor stated that there isn't a whole lot of information about Uncle Monday or his legend. Regardless, I enjoyed the class and look forward to one day creating an Uncle Monday poppet.